Sandro Cortese (Kallio Racing) ran a superb lap to grab his first pole in 6 years at Round Three of the FIM Supersport World Championship. The German rider has not started from the front since the penultimate race of his Moto3™ title.winning season in 2012, but a consistent performance throughout the session also grants him his first front row start this year. 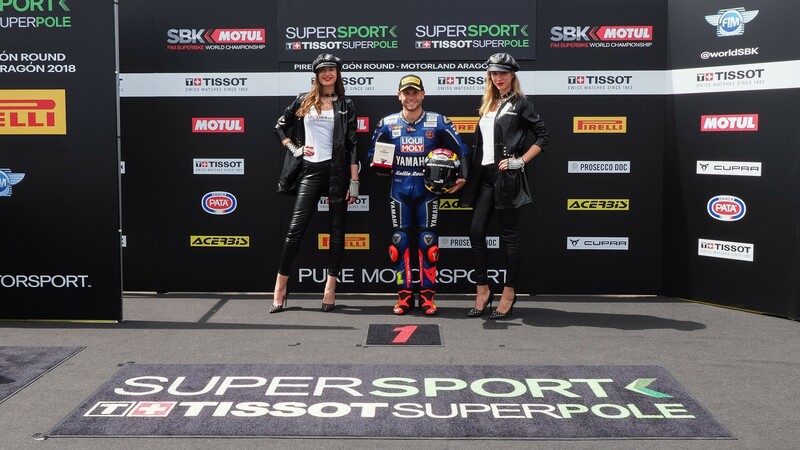 Behind him, Lucas Mahias (GRT Yamaha Official WorldSSP Team) was very close to recording a third successive Superpole this season, denied the chance to lead the grid by just two hundredths of a second. 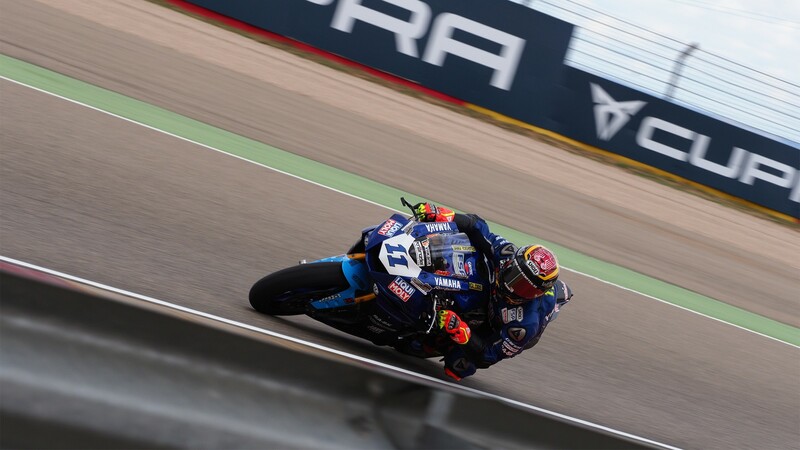 He will be happy about his placement however, as title rival and co-leader Randy Krummenacher (BARDAHL Evan Bros. WorldSSP Team) could only come in fifth. 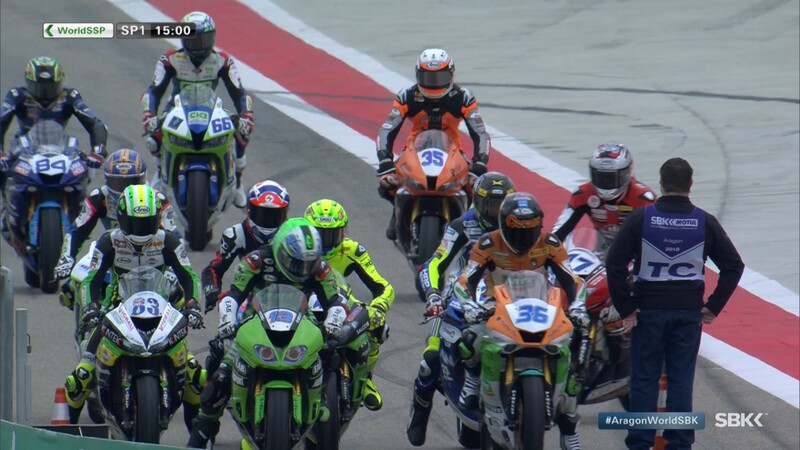 Between them, Federico Caricasulo (GRT Yamaha Official WorldSSP Team) was agonisingly close to beating both his teammate and Cortese, with the Italian just 0.081 off the German’s best lap. Leading the second row on the grid will be Raffaele De Rosa (MV Agusta Reparto Corse by Vamag) with the first non-Yamaha bike, with the row completed by Jules Cluzel (NRT), who couldn’t follow up a promising performance in the free practices with a front row start. 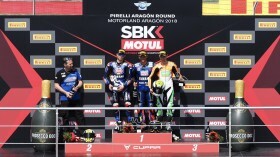 Debutant Sheridan Morais (Kawasaki Puccetti Racing), stepping in for five-time champion Kenan Sofuoglu as he recovers from injury, will lead the third row from seventh, ahead of Luke Stapleford (Profile Racing) and Ayrton Badovini (MV Agusta Reparto Corse by Vamag). 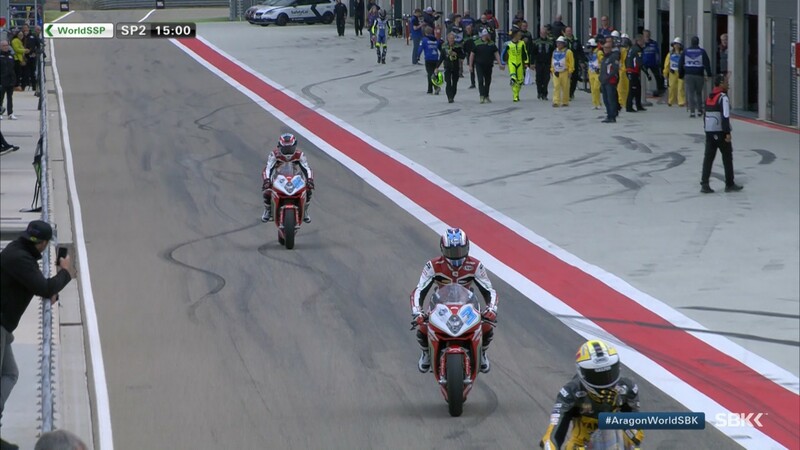 Will Cortese become the third winner of the season? Find out tomorrow with the WorldSSP race live at 11:30 (09:30 GMT), and catch all of today’s reactions thanks to the WorldSBK VideoPass.